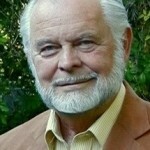 G Edward Griffin: Big Ideological Battle Taking Place - Wall St. for Main St.Wall St. for Main St.
Jason Burack of Wall St for Main St had on first time guest, American author, lecturer, and filmmaker, G Edward Griffin http://www.freedomforceinternational…. He is the author of the popular book, The Creature from Jekyll Island which was published in 1994. During this 30+ minute interview, Jason asks G Edward Griffin about when things really started to go badly in the US and if 1913 marked a key historical point? Griffin says the US Constitution was flawed and yet the US prospered for many, many years until collectivism started to massively accelerate during the Woodrow Wilson era. Jason then asks Griffin about Keynesian Economics and if deflation will be allowed for a long period of time? Griffin says there’s a big, important ideological battle going on now between collectivism and people who oppose it.